February 1, 2019 - Like us now! Takhleeq, the premier startup incubation center at University of Central Punjab (UCP), has launched applications for its second incubation cohort. As the first batch of Takhleeq graduates, the startup incubator is introducing an interactive induction process for the applicants of the second cohort. 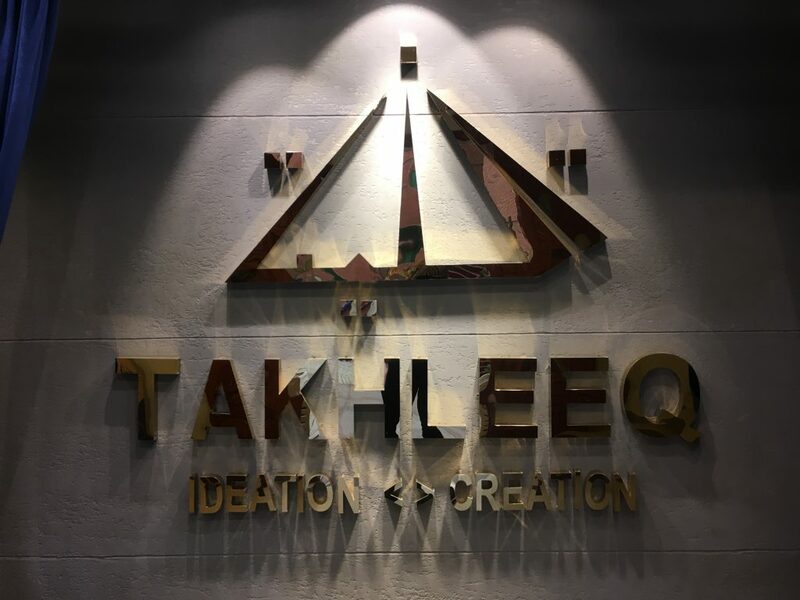 Takhleeq will host a five-day pre-induction bootcamp, which will not only serve as a filtering exercise but also impart team building skills to the applicants. The startup is also planning to invite parents and guardians of young entrepreneurs to help them understand and encourage the entrepreneurial spirit of their offsprings. Takhleeq incubates a diverse spectrum of startups that are not limited to building technology products. Some of the startups incubated in the first cohort have been solving a diverse set of problems of fashion, logistics, life sciences, agriculture and food consumption. Takhleeq is open to aspiring entrepreneurs not only for UCP students, faculty, alumni network, but also Punjab Group of Colleges community. The startup incubator also encourages all startups from Lahore to apply to the program who are building solutions to solve local problems. After the first cohort hosted a number of solo founders and incomplete teams, Takhleeq is learning from the experience. This cohort, they are also looking for individual talent who want to offer their skills to the selected startups. In the pre-induction bootcamps, these individuals and startups will be put into pods together to share their ideas, skills, and future goals. Startup Teams can apply here. Solo Founders can apply here. Individuals looking to work with startups can apply here. The startup incubator is accepting applications till February 10th. The second cohort will kickstart March 13th.